Cook Party Rentals offers party and tent rental equipment. We offer table rentals and chair rentals. We also offer tent rentals. We offer wedding equipment rental and linens. We also have bounce houses, staging, concessions and more! Whether you’re planning a large event with many tents or just need to rent a tent for some shade, Cook Party Rentals has you covered. 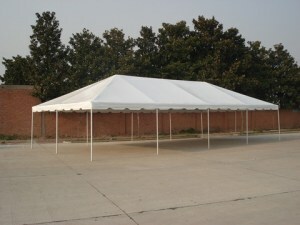 Cook Party Rentals has a wide variety of tent rentals. 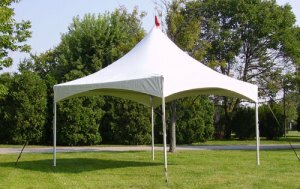 These tent rentals are perfect for any occasion. All of our tent rentals come in a wide range of sizes. 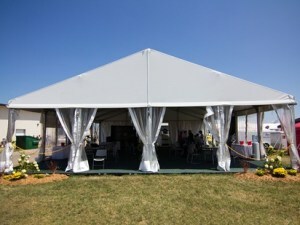 Take a look at our selection of tent rentals to see what best suits your needs. Cook Party Rentals has a bright staff that provides exceptional customer service. 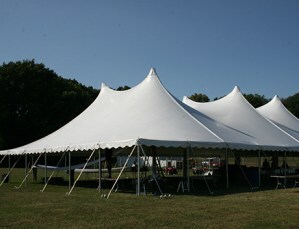 We have skilled tent rental installation crews. 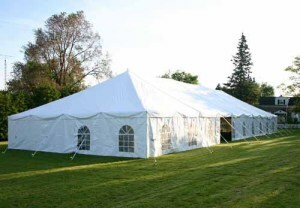 In addition, we have quality tent rental equipment at a fair price. You can trust us to help you design and outfit any size or type of event. Call us today with your tent rental to create your next memory! Vinyl top available in white or colored stripes. White Sidewall hung by hook and jump ropes around perimeter of tent. There is an upgraded window sidewall available. 10′ | 15’ | 20’ | 30’ | Standard 8’ Leg. 10’ | 15’ | 20’ | 30’ | 40′ | Standard 7’ Leg. The vinyl top is available in white or colored stripes. Interior poles required to support the guy lines and stakes around the perimeter of tent. 40’ | 60’ | 80′ | Standard 7’ or 8’ Leg. Interior poles required to support tent guy lines and stakes around the perimeter of tent. 50′ | 60’ | 80′. 13′ legs available upon request. 10′ | 20′ | 30′ | 40′.